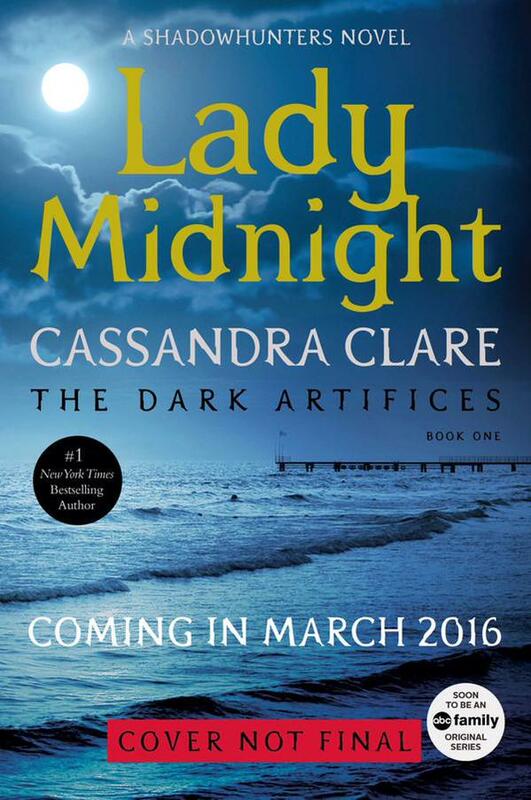 With Lady Midnight set to be released next March, fans are eagerly anticipating the cover reveal of Cassandra Clare’s next Shadowhunter series, The Dark Artifices. So when might we see a cover reveal? Cassie said we can expect it sometime about October. But keep in mind that’s not set in stone. “@AutumnDegree25: ” when will the cover be released?”Octoberish. But while we wait, take a look at the placeholder cover, which features title art, a gorgeous backdrop of Los Angeles and a sticker promoting Shadowhunters on ABC Family. Lady Midnight, which is 768 pages long, is now available to pre-order from Shadowhunters.com. Ugghhh why is next march so far away?! Ikr? 768 pages. But it’ll be worth it. I think it will be at least. BY THE ANGEL IT WILL BE RELEASED THE DAY AFTER MY 16th BIRTHDAY!!!! SWEET SIXTEEN INDEED!!! Like that cover. I hope they keep it or do something similar.